HAUTE OR NOT: June Ambrose attended World Ocean Day 2011 wearing black and white with a touch of BLUE! 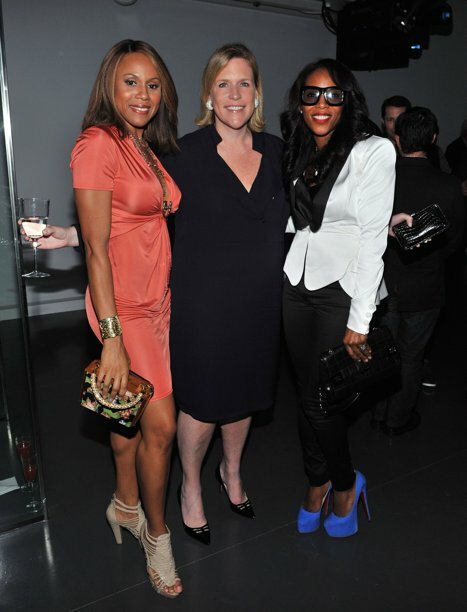 This past Wednesday night the lovely and talented June Ambrose attended a World Ocean Day event. The purpose of World Ocean Day is to honor the world’s oceans, celebrate the products that the ocean provides such as, seafood as well marine life. I love our oceans and I hope that we continue to try and keep them as clean as possible! Ambrose looks amazing in her black and white blazer paired with black skinny leg pants and blue pumps! A few other of my favorite ladies were in attendance which include, Rachel Roy, Kerry Washington and Deborah Cox! I am glad that they all came out to support such a great cause! ASW readers please tell me what you think about June Ambrose outfit. Thanks for reading and have a Terrific Thursday!